Windisch's Stand Mirrors optical mirror is a magnified mirror that is great for a contemporary style bath. 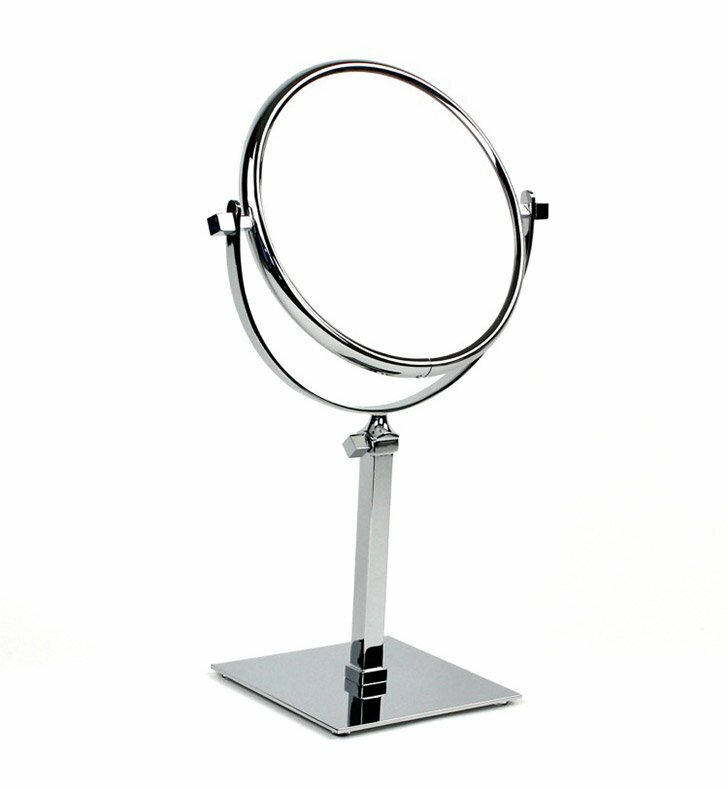 Manufactured in Spain by Windisch, this free stand magnified mirror is a versatile solution for your trendy personal bathroom. 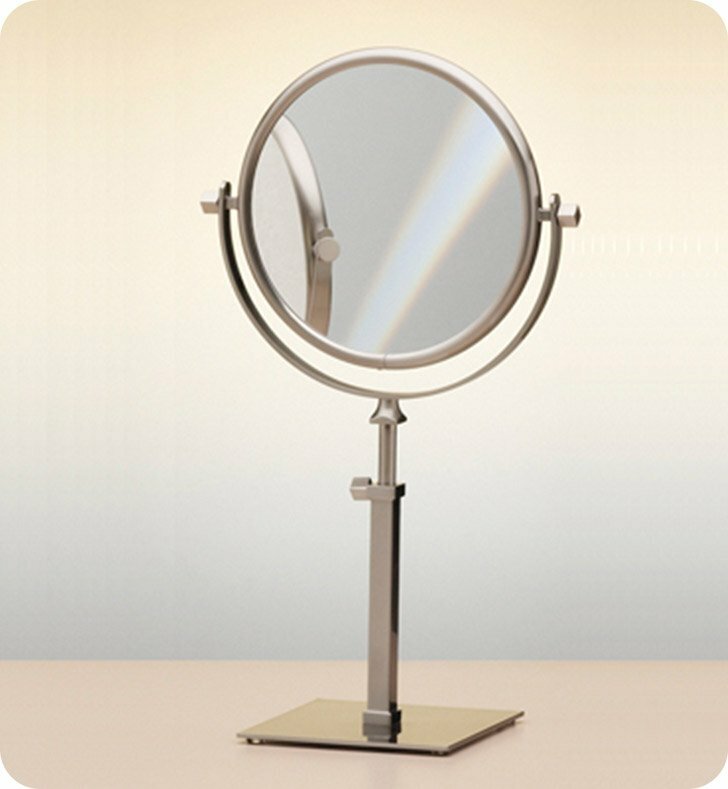 This classic magnified mirror is made of the highest quality brass and finished in chrome, brushed nickel, or gold. Dimensions: W 7 1/4" x H 13 1/2"